"I will not be an adult that commits an indignity to a child." A former Claire's Accessories employee has called the store's ear piercing policy "cruel" after she was informed that she had to pierce the ears of a sobbing seven-year-old girl. Raylene Marks - who worked in a Claire's store in Alberta, Canada - said that she handed in her notice after her manager told her that she had to pierce a child's ears, even if "... a mother is physically restraining her daughter, holding her down and saying, 'DO IT.'" In an open letter to the store, Marks wrote that she had had a few concerns about violating children's personal boundaries due to the "grey area" around piercing. Marks said that she reached her "breaking point" recently when a seven-year-old girl was brought into the store to get her ears pierced. "I was to assist with the piercing, since it was what we call a 'double,' both ears at the same time," wrote Marks. "It's reserved for nervous kids who might change their mind after the first earring goes in. The girl pleaded and sobbed for thirty minutes not to be pierced. "Despite Mom saying, 'Honey, we can go home whenever you want,' she was not letting her daughter go home. She was putting a great deal of pressure on her daughter to go through with the piercing." Marks said that the girl informed staff that they were standing too close to her, that she didn't want them to touch her, and that she no longer wanted her ears pierced. The next day, Marks said that her manager asked her what happened. She explained that if the child's mother had held her down, she wouldn't have pierced the girls' ears. "I was firmly told, 'You would have had no choice but to do it,'" she wrote. "So I brought up the worst scenario I could think of. I wanted to know how far we were supposed to take this policy of piercing non-consenting children. "'So if a mother is physically restraining her daughter, holding her down and saying, 'DO IT,' while that little girl cries and asks me not to, do I do the piercing?' My manager did not hesitate to respond, 'Yes, you do the piercing.'" Marks said that she gave her notice that day. She shared her open letter asking Claire's to change their "cruel" ear piercing policy, which she said has "... no mention of the use of physical restraint by the parent, or the employee’s right to refuse an ear piercing if their concerns are for the emotional welfare of the child." 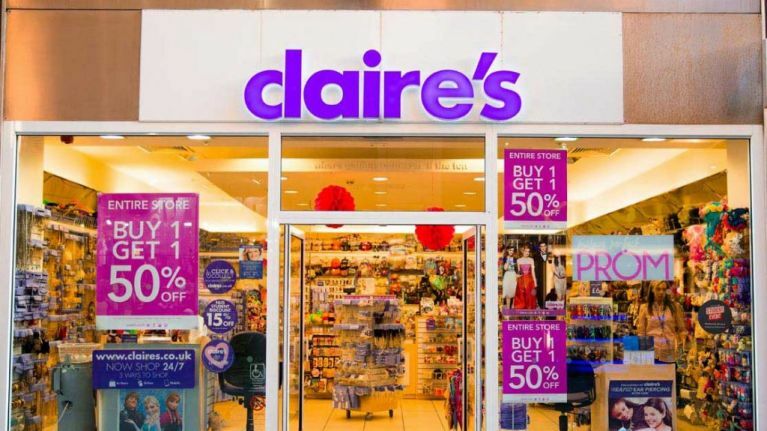 Marks said that Claire's has since contacted her and "expressed intentions to revise the policy." A spokesperson for the store told The Independent that they are investigating the incident. 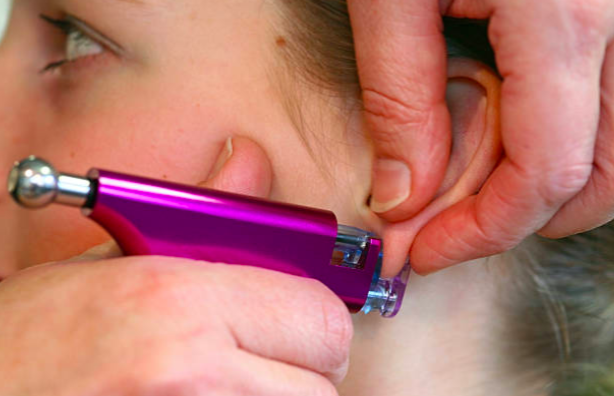 "Over 40 years, Claire’s has pierced more than 100 million ears. 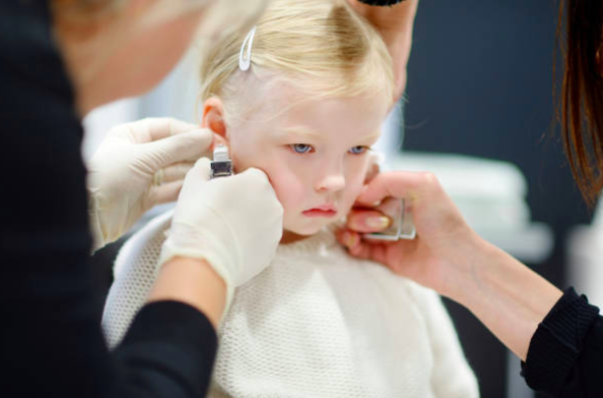 Customer wellbeing is our main priority and our existing ear piercing policy ensures that if a child is distressed or resisting the procedure, Claire’s employees can refuse to continue the piercing. "In relation to the ear piercing incident involving the former employee Raylene Marks, we believe she acted appropriately and in line with our policy by refusing to do the piercing." You can read Raylene Marks's open letter in full here.